What could be a better mini vacation than learning something AND having fun? You can do both at Columbia Historic State Park on Columbia Gold Rush Days. These days are offered the second Saturday of each month from 1pm to 4pm. Volunteers dress up for the day in costumes representing people from the 1840s in the bowling alley, the Wells Fargo office, the old schoolhouse, and the replica dry goods stores. There is also a special performance from the Great Motherlode Brass and Reed Band to celebrate California’s statehood in 1850. In addition to special events, all the other activities are still available at Columbia Gold Rush Days. Pan for gold, climb rocks, go horseback riding, buy some sweets, enjoy an old fashioned root beer float, or an old fashioned picture or all of the above. 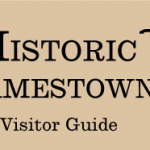 You will learn what an 1840s gold rush town was all about while having fun discovering the town. 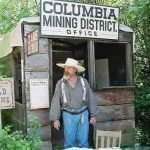 For more information about Columbia Gold Rush Days please contact Columbia State Historic Park at (209)-588-9128. The website for more information about Columbia is http://columbiacalifornia.com/columbia_activities.html. 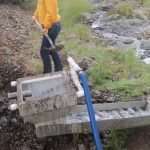 For directions visit http://columbiacalifornia.com/map.html.